Power Transformer | Design Based Transformers | Coil Winding Specialist Inc.
Power Transformers are used in transforming the voltages from one level to the next. Power Transformer can be divided into 3 basic categories as listed below. The basic difference between these are the frequency of the electrical signal and the size. The size of a power transformer is directly proportional the frequency. 1) 50/60Hz power transformers built using lamination. These types of power transformers are bulky but incredibly reliable, and it converts the 60Hz (in North America) and 50Hz (in Europe) utility power line voltages into a higher or lower voltages. Most of the large utility transformers are operating at 60Hz or 50Hz. Newer large power transformers are also built using aluminum for lower cost. 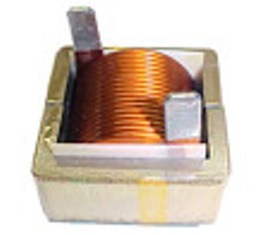 CWS manufactures both copper wire and foil and aluminum wire and foil power transformers. We use M6 or M19 or Nickel laminations. EI laminations, C-cores and toroidal cores power transformers from a few VA to hundreds of KVAs. 2) 400Hz power transformers are for military use in the aircraft and ship power. Since the frequency is 400Hz, the size is 6.7 times smaller. CWS manufactures custom 400Hz transformers using the very thin amorphous cores for lower losses. CWS designs and manufactures ranges from a few VA to hundreds of KVAs. 3) High Frequency Power Transformers are also called switch mode power supply transformers. These transformers are based on ferrite cores. CWS designs and manufactures high frequency power transformers from small to super high power, and from 1Khz to 1Mhz switching frequency. 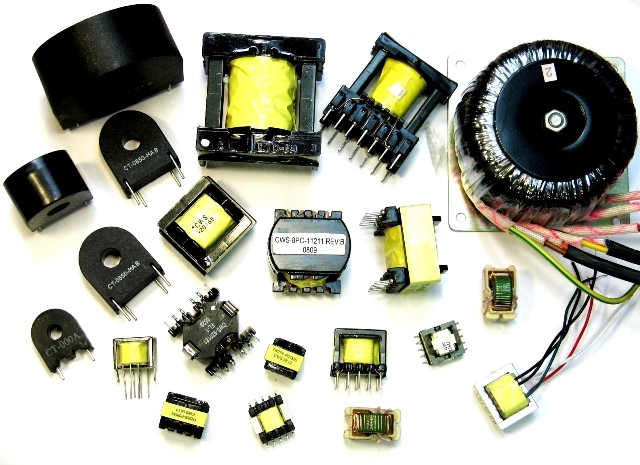 CWS also offers many off the shelf transformers with Power Integrations© Design references. Please contact us via e-mail for more details.